These units are designed to mount between the truck cab and any bed or body desired. Two shelves inside and doors on both sides make getting tools out easy! Stainless handles with locks for security and rubber gasket for seal. 2006 Terex Telelect Commander C4047 Digger Derrick. 16' X 96" wide Platform Fits 120" CA Truck. 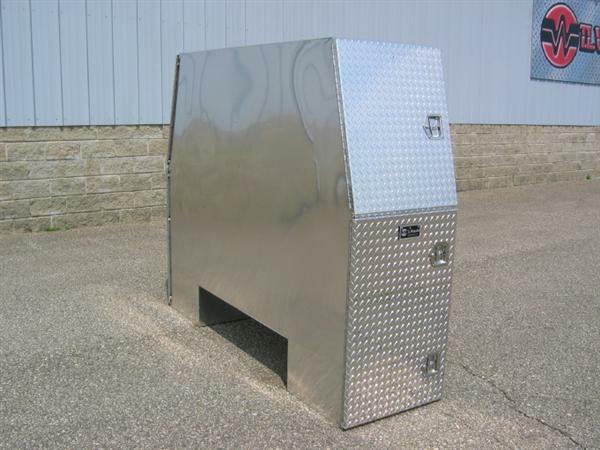 Front & Rear Outriggers, Brand FX Fiberglass Cabinets, Includes Remote Control. 2018 Jost Model #JSK37USL-A10PX72 5th Wheel with Approximately 500 Miles of use. 72" Slider, 10" Plate Height. 50,000 lb. Vertical Load Rating, 150,000 lb. Horizontal Load Rating. Weather Guard Model #1245 Ladder Rack for Short Box Trucks. Like New! B&W 3300 Ford OE Companion 5th Wheel Hitch. 4-Point Attachment, 20K. Like New!